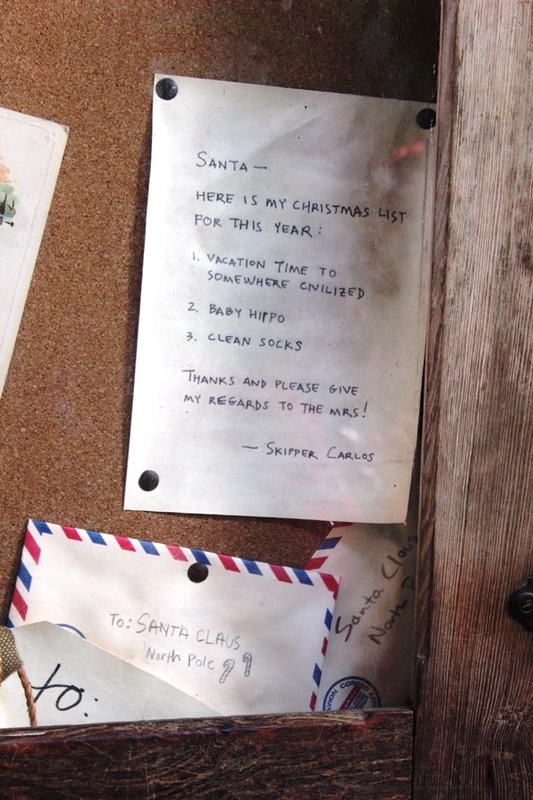 The holiday season has come to the world famous Jungle Cruise and all of its various rivers and outposts. 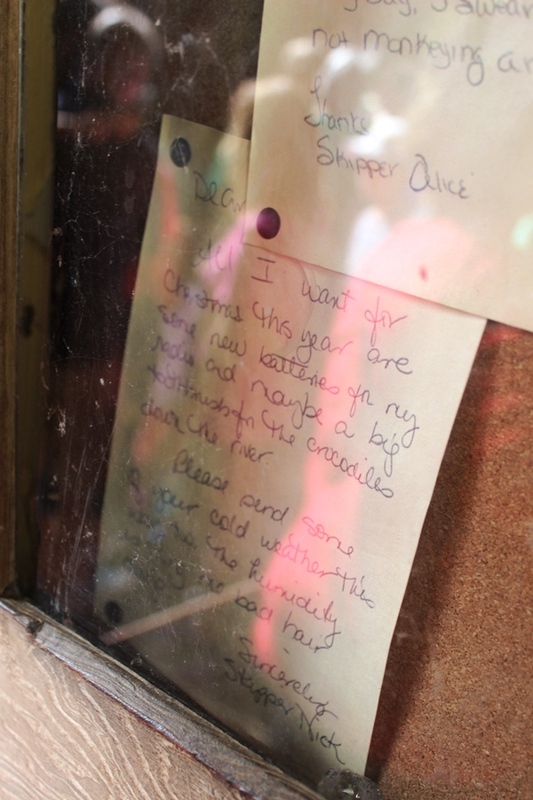 In fact, it has been more appropriately christened the Jingle Cruise. For the second year in a row the boathouse, launches, veldt, base camps, and all the wilds in between have been decked out in their festive best, or whatever the skippers could find that kind-of, sort-of looked merry. 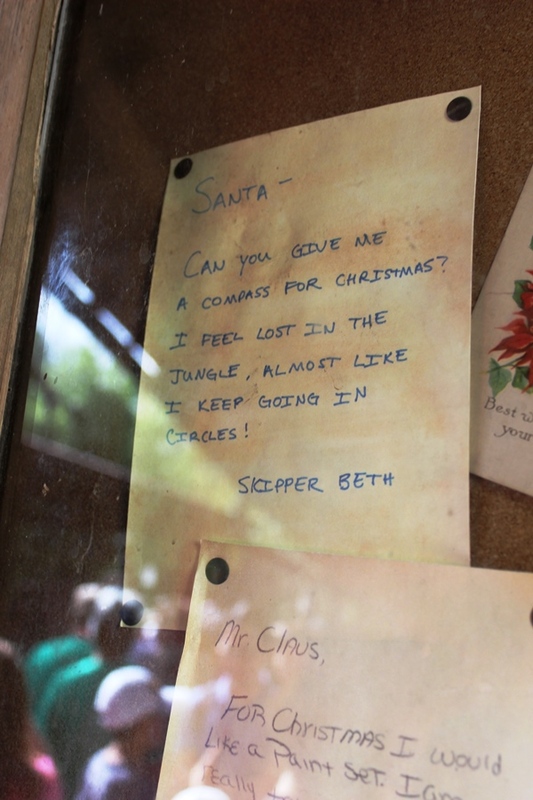 Speaking of the skippers, many of them have written letters to Santa that can be found on bulletin boards throughout the Jingle Cruise queue. Since most, not all, of them seemed to have made it onto the nice list this year, maybe we should see what they’re asking for? Can you give me a compass for Christmas? I feel lost in the jungle, almost like I keep going in circles! 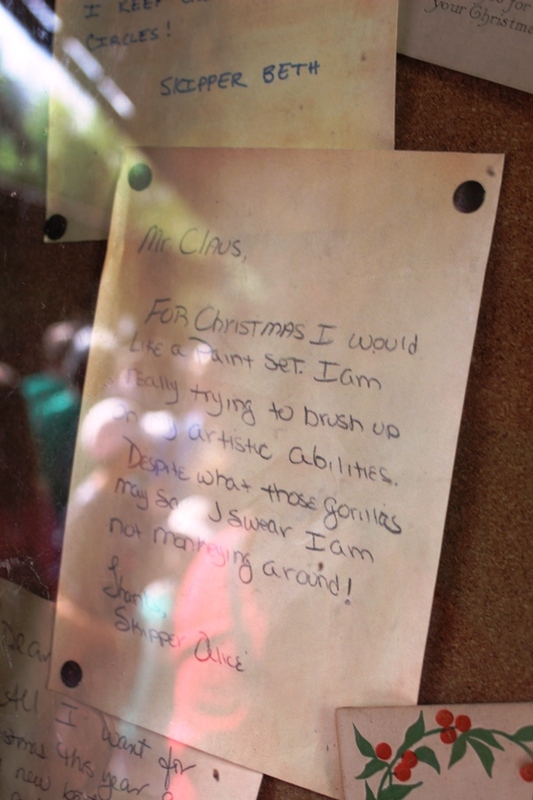 For Christmas I would like a paint set. I am really trying to brush up on my artistic abilities. Despite what those gorillas may say, I sweat I am not monkeying around! All I want for Christmas this year are some new batteries for my radio and maybe a big toothbrush for the crocodiles down the river. Please send some of your cold weather this way too. The humidity is giving me bad hair days. Thanks and please give my regards to the Mrs.! See, like I said, mostly they’ve made it onto the nice list. Here’s ho ho hoping Santa got their letters in time for this week's flight, or should I say cruise?!? !